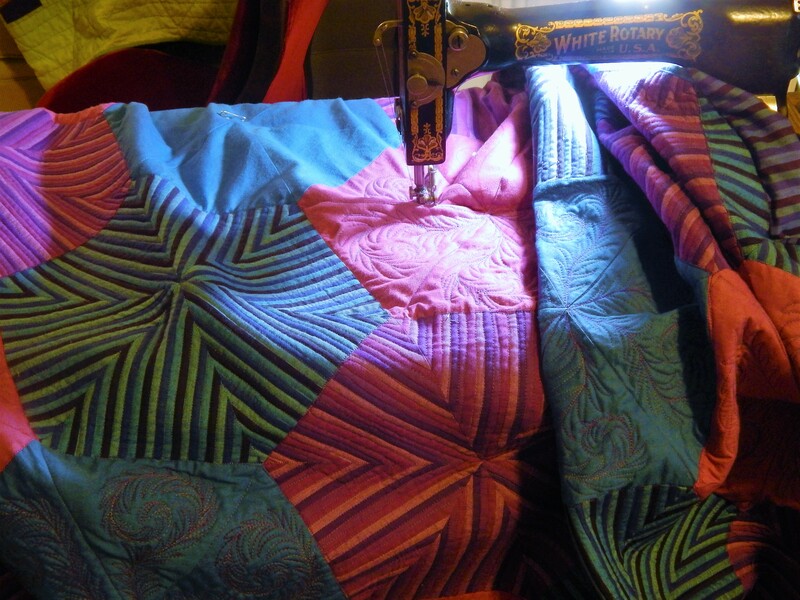 I am entering the home stretch on the Tree of Life quilt. I have one corner to do then I will wash out the blue lines and see where I need to go back and add more. I hope everyone is safe and dry after the storm. Here in Lansing we are having Icy rain but I can only imagine the problems some of the country is experiencing. 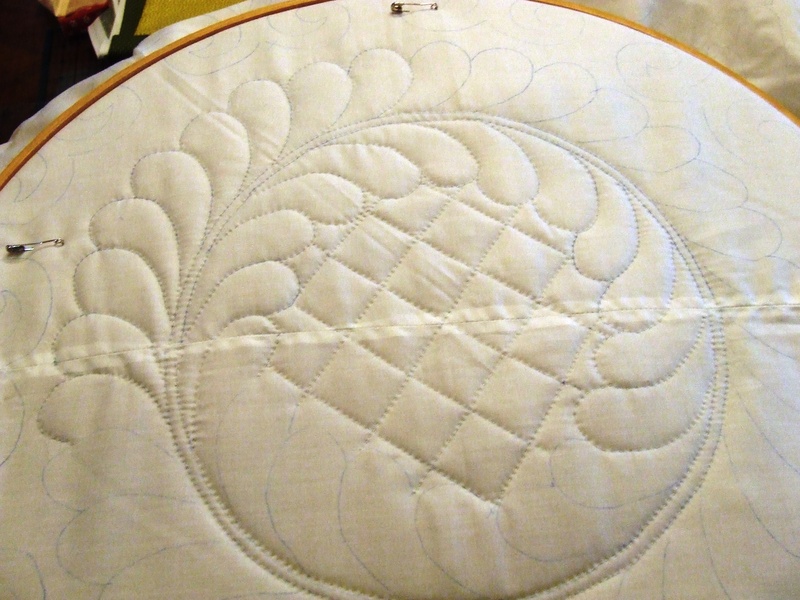 This entry was posted in Quilts and tagged hand quilting, Quilts, tree of life, whole cloth quilt. Wow! This turned out absolutely wonderful, such talent! Love the way you signed it also. what size is this one Tim – it is looking really good. Only one corner? You should have it done by tonight, right? Bravo! Gosh it is beautiful! Can’t wait to see it washed. Here in Maine we are dusting ourselves off and thanking our lucky stars that we are intact (and that the power is on)! We lost the top of a big spruce in the back yard and have one bent screen. I feel so fortunate. It was a terrifying night…and we were on the far outer edge of the storm! Those poor people in New York and New Jersey 😦 Hope the ice doesn’t cause any damage in MI. glad to hear that you had minimal damage! it must have been a scary night!! LOVE, LOVE, LOVE it! I love those sturdy, well-established roots in your tree of life. What an awesome statement! Love how you have stitched your name in there too. 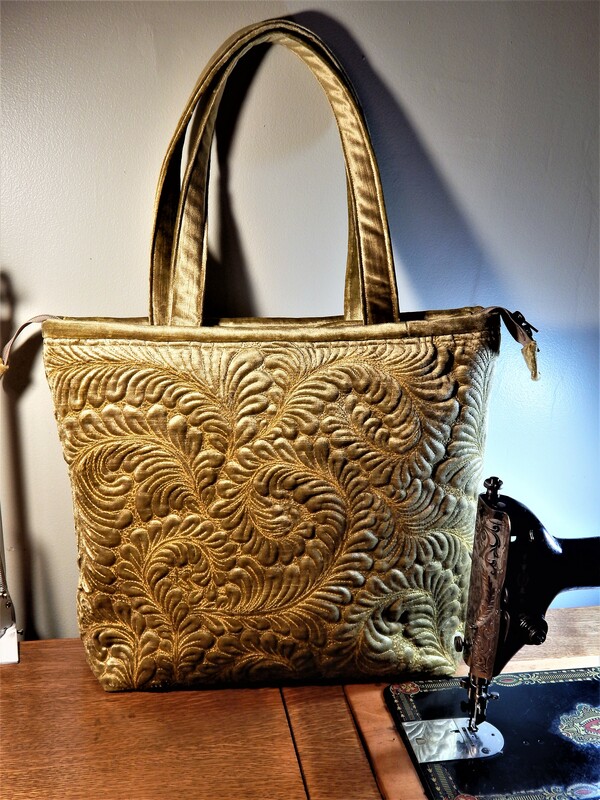 Incredible stitching. I only wish I was as dedicated! 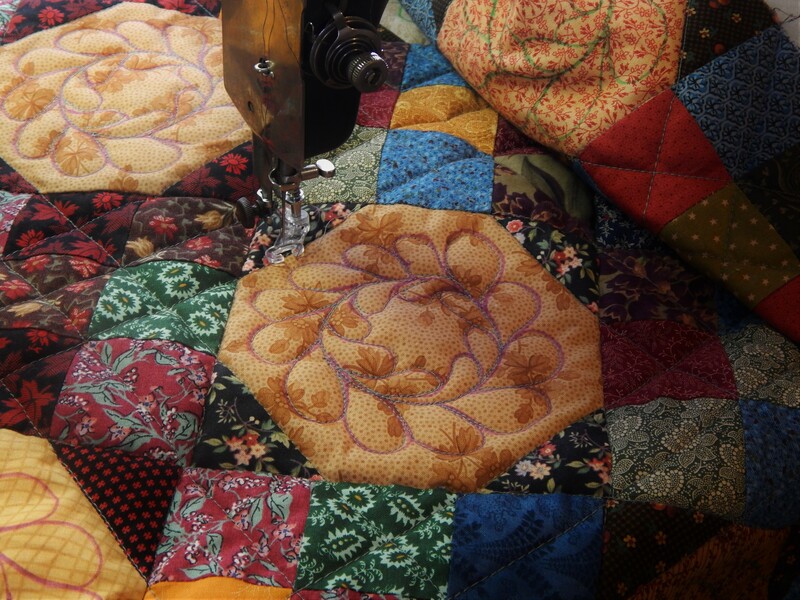 Your whole cloth quilt is definitely showcasing your personality and talent as a quilter. Thanks Audrey….I have seen your work as well and while we may have different styles I think you are at least as dedicated as I…and you have a lot more to distract you! !